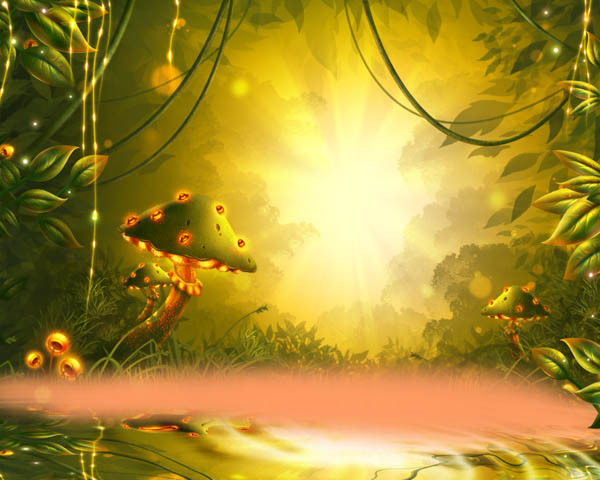 GFX9.COM share How to create a fantasy game background in adobe photoshop, you can download now. 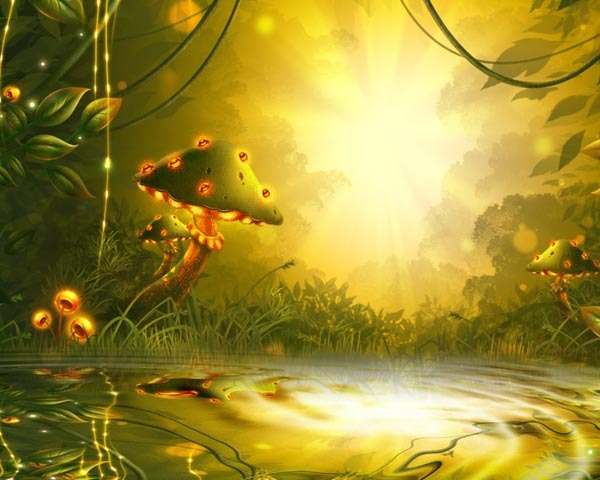 Tags: adobe photoshop, fantasy, illustration, nature, scenery. 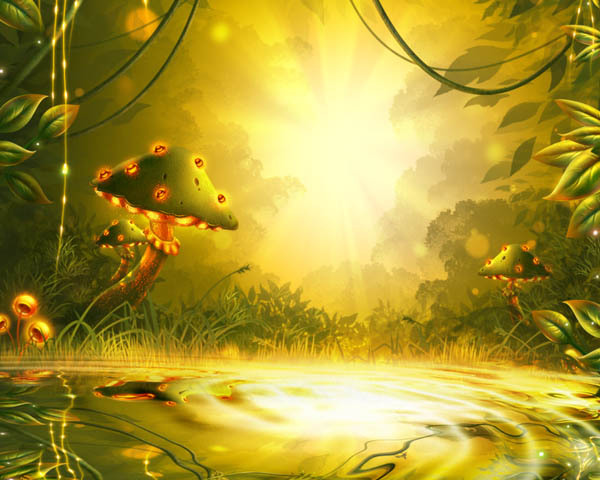 Today let’s attack the wonderful topic of game background creating! 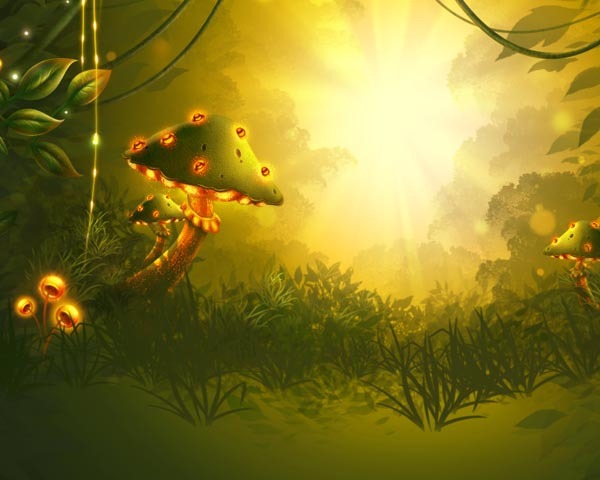 While there are a multitude of game types and platforms, a good, immersive setting that creates just the right atmosphere is a very important part of any game. Let’s dive right into it! 1. First, a Wild Sketch Appeared! 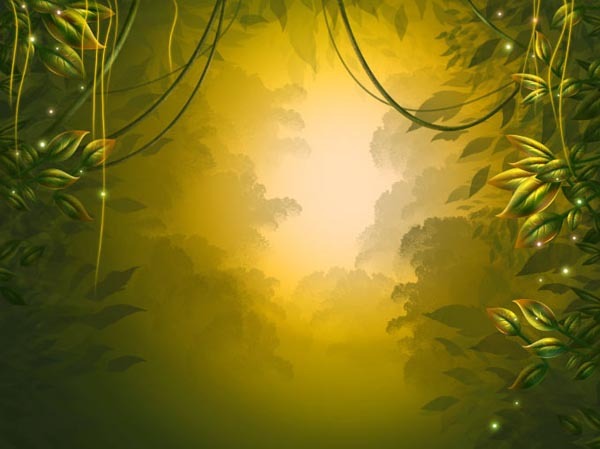 Before anything else, as a general rule you must have a basic concept of what you’d like to obtain. A vision. 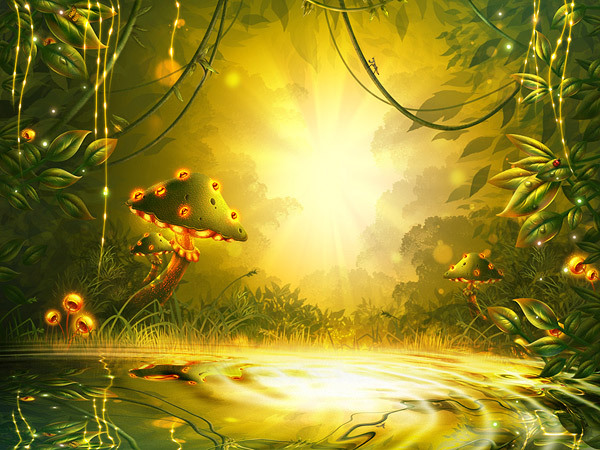 Allow yourself some time to flesh the idea out, testing out different shapes, colors, light sources and focus points. Don’t rush—make sure that deep in your heart you feel that sketch is the one. 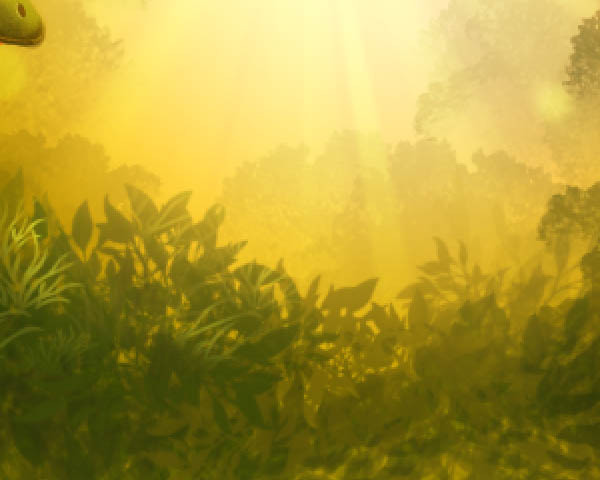 Create a new layer, name it “Foliage”, and set your foreground color to #444e0f, with your background one as #222c14. 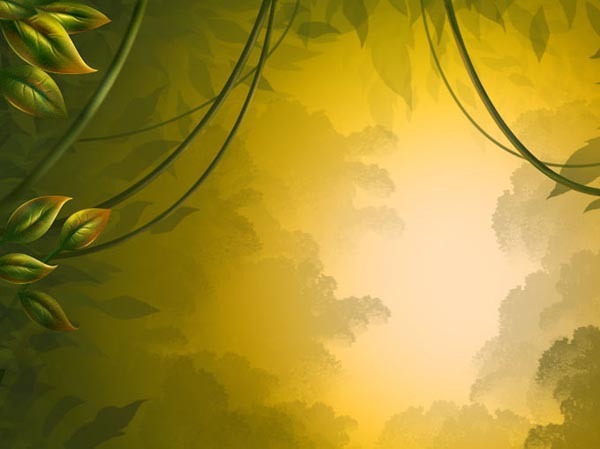 Take the Brush Tool (B), and select the “Foliage 1” brush from the brush set provided (you can download them by clicking Download Attachment in the sidebar of this tutorial). On your “Foliage” layer, drag around to create a bunch of soft, far-away leaves. Don’t be afraid to change the size of your brush constantly or rotate it around its own axis—that gives us diversity! 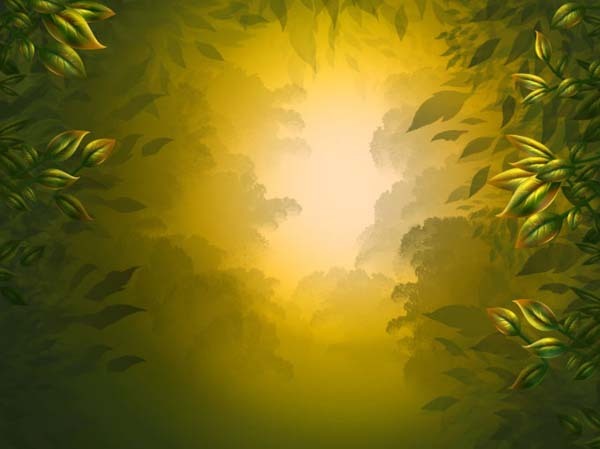 When you feel you are done with the first layer of leaves (lighter in color), press X to switch your background and foreground colors and repeat the step to create darker leaves closer to us in perspective. Again, rotate and change the size of your brush—nature is filled with diversity, and this is what we're trying to emulate here. This was just a foundation. Now let’s do the real deal! Let’s start by creating a leaf. Take the Pen Tool (P), set it to Shape Layers mode, and then draw the shape of a leaf using a medium green color of your choice. 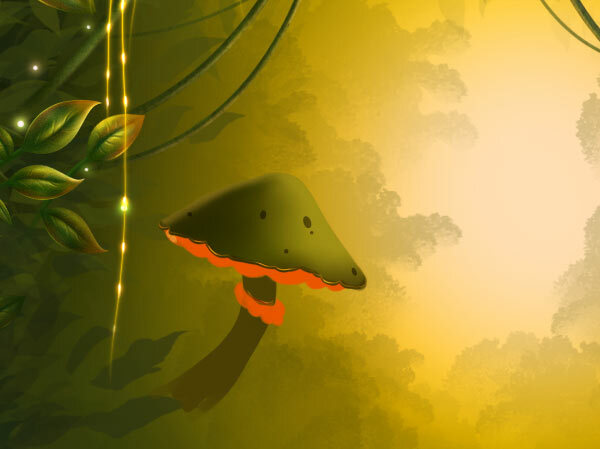 Now let’s add even more detail to this leaf, by smoothing out the colors—you can use the Smudge Brush set on soft round for this—and adding more shading detail. Notice the direction where the ambient light is coming from? 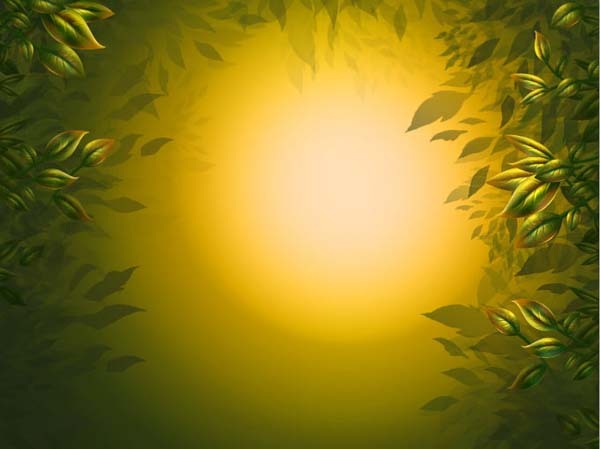 As our leaf is a bit curved, and not straight and flat like a sheet of steel, and our light source is coming from a 0 degrees back angle, that bent portion will create a soft, light shadow at the crease. And of course, a highlight area on the opposite side of the crease. Moving on with our leaf, let’s take a hard, round brush with Pressure Sensitivity on, and draw the leaf’s veins. You can use a darker green for this. 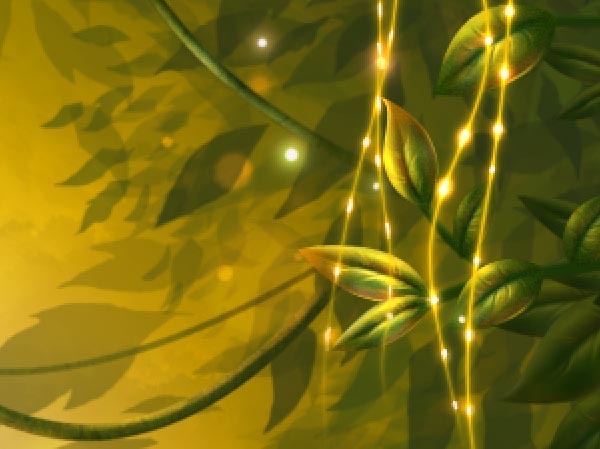 Add a few lighter colored strokes around the veins to create the illusion of depth, and use the Dodge Tool (O) set to a round, soft brush with Pressure Sensitivity on and mode Highlights to brush lightly and enhance the highlights that are already there. Next, for the finishing touches, let us add some reflective color to the leaf. 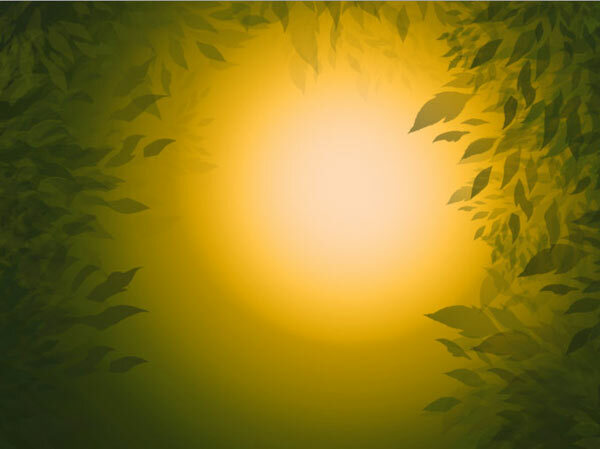 Since our leaf has a waxy texture, it reflects secondary colors in the ambient light just as well as primary ones. 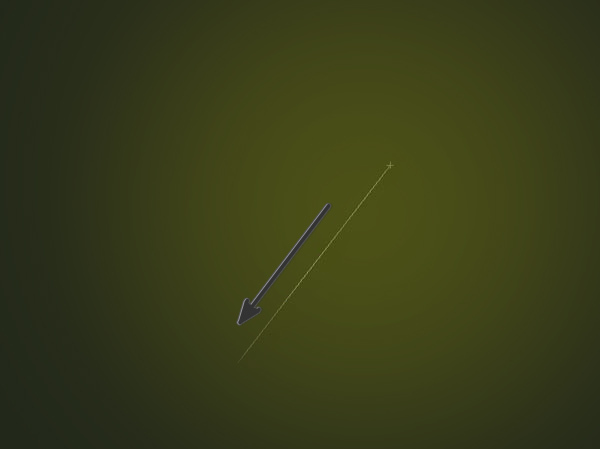 Therefore, take a soft, round Brush Tool (B) and set its Mode to Linear Dodge, its Opacity to 50% and its Flow to 10%. Then brush lightly on the leaf using #00aeef for shadows and #f65b0e for highlight areas. Optionally, to add more personality to your leaf, you can take a 2px hard round brush with Pressure Sensitivity on, and brush a few delicate veins around the leaf. 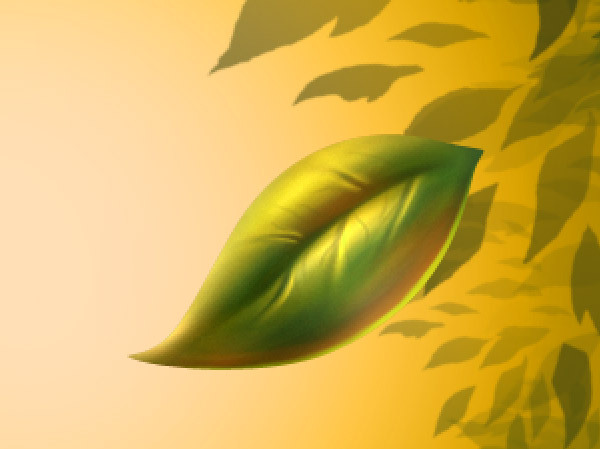 Using the same technique that we created the first leaf with, go ahead and draw a few more leaf shapes. After you have a few done, simply duplicate, rotate, resize and flip them to obtain an entire small bush! 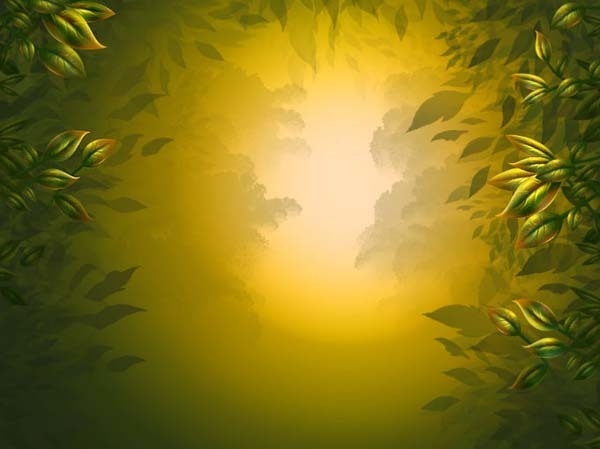 To obtain the darker leaves that help us with the impression of depth, simply paint over some of the leaves in your “bush” with a soft, round, 50% Flow and 50% Opacity Brush (B) set on a darker green. Next we need to add even more depth to our background. To do that, take the Brush (B) named “Background Bush” and choose a darker green color as the foreground color. 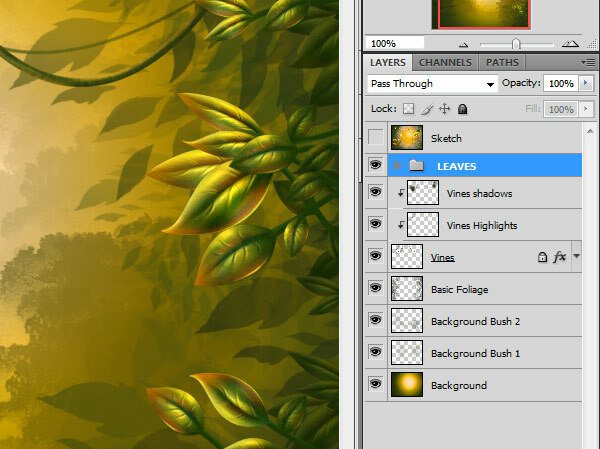 Create a new layer and place it between your "Foliage" and "Leaves" ones, and name it "Vines". 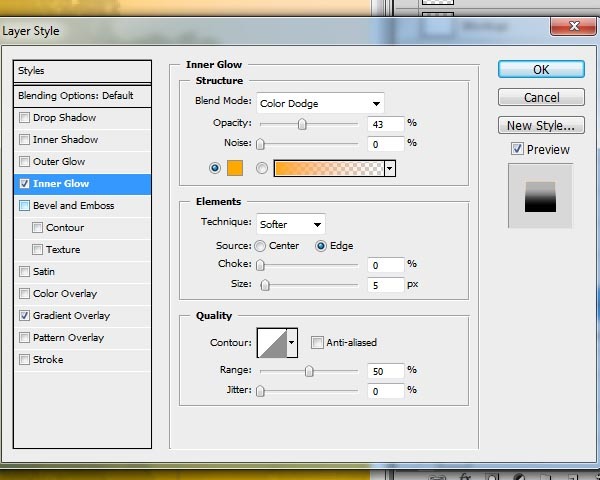 Set your Foreground color to #444e0f and select the Brush Tool (B). 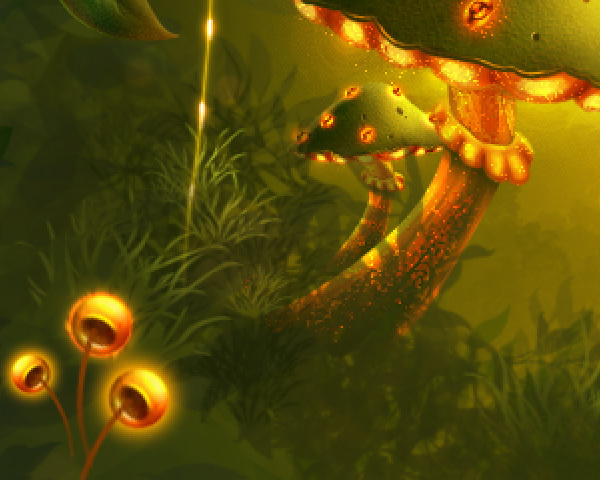 Make it a 7‑8 px, hard round brush, and drag to create a couple of vine bases. Then change your brush size to a 4, and setting your foreground color to #918429, draw thinner, more distant vines on your “Vines” layer. Feel free to vary the size of your brush as you see fit. 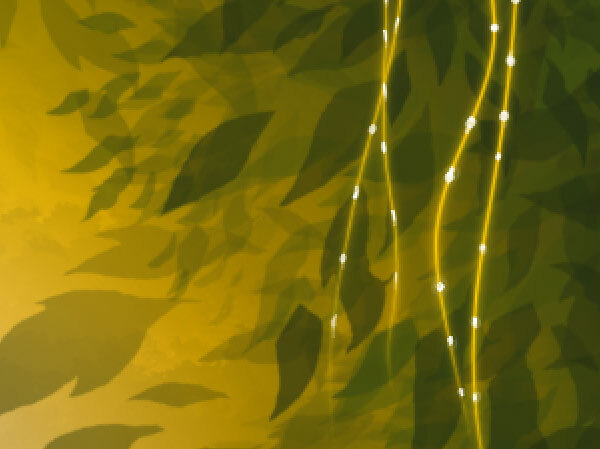 Now, to give the vines a more appealing look, create a new layer above them and Clip Mask it to the “Vines” layer by right-clicking on it and selecting Create Clipping Mask. 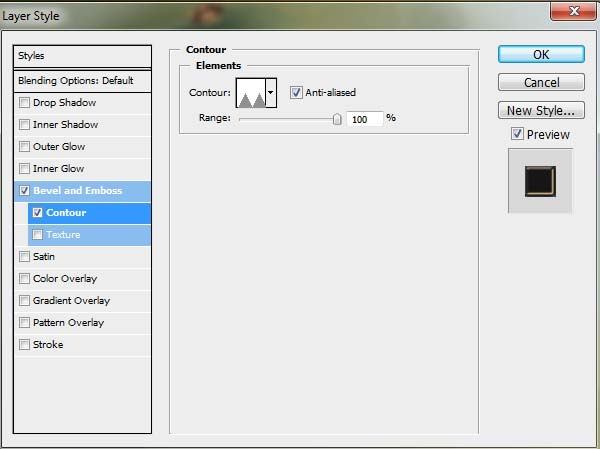 Then set your foreground color to #d3a60d and your Background one to #29330b. Taking a soft, round brush with Pressure Sensitivity turned on, brush lightly with your lighter (highlights) and darker (shadow) colors to create a 3D look. 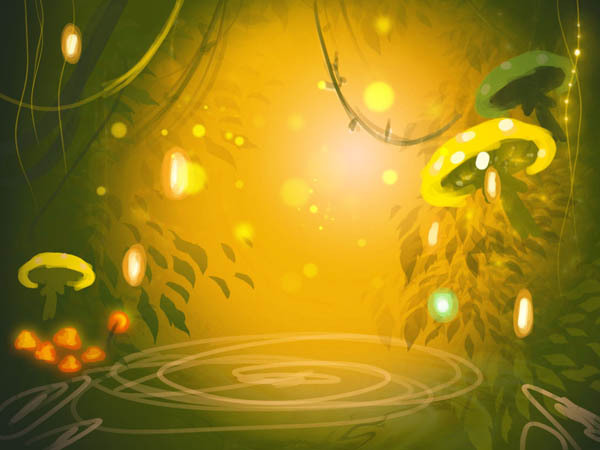 To give the setting a magic feel, let’s add some glowbugs. To do that, create a new layer above every other one, name it “Glowbugs”, and simply take a soft, round Brush (B) with NO pressure sensitivity on and brush around a few random dots using a vibrant green such as #7dad3c. 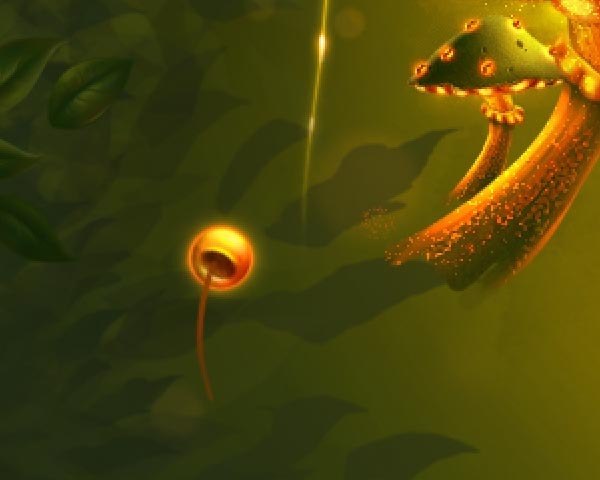 After that, switch your foreground color to white (#ffffff) and your Brush (B) to a smaller size and higher hardness (try around 70% Hardness), and zoom it to create a speck of light in the middle of each glowbug. 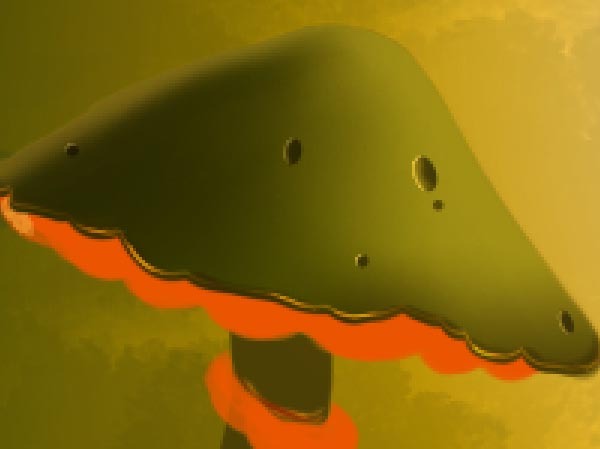 Create a new layer, and sketch out a random ‘shroom shape so you have a guide. 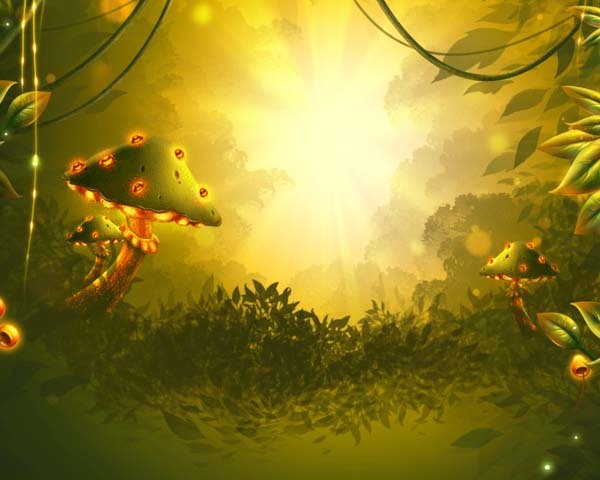 Once that is down, make yet another new layer, name it “Mushroom Dark Base” and move it between the “Vines” and the “Basic Foliage” ones. 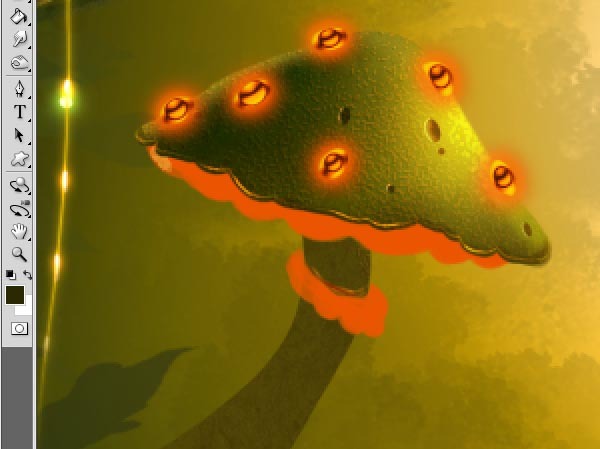 Then create a new layer yet again, name it “Mushroom Light Base” and move it under the dark base one. 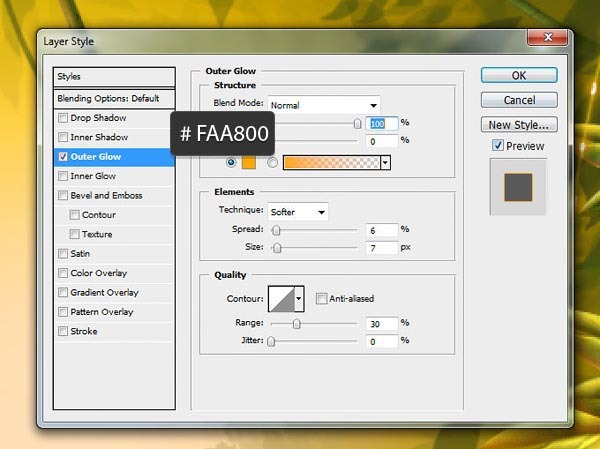 Set your foreground color to #4c3f05 and your background one to #ea5501. 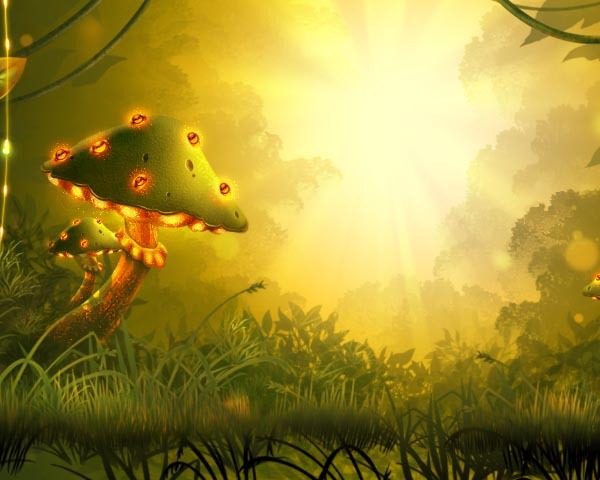 We will create a mushroom type that has magic, glowing spores—therefore all the light source and glow will come from beneath the cap. 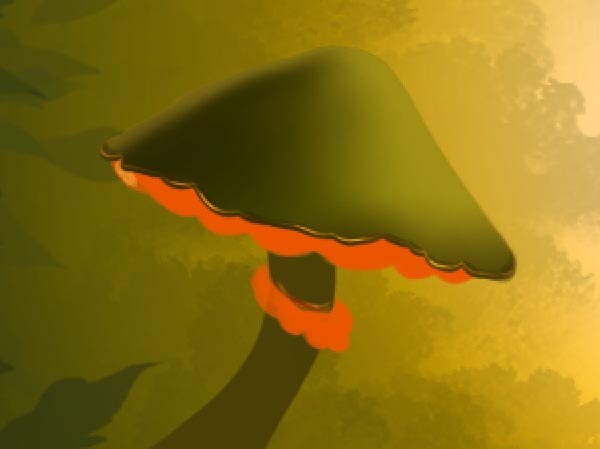 So use the dark, desaturated green to paint the cap and foot, and the bright orange for the undercap and frills areas. Now that we have our two base color layers, it’s time to start shading them. Start with the cap. 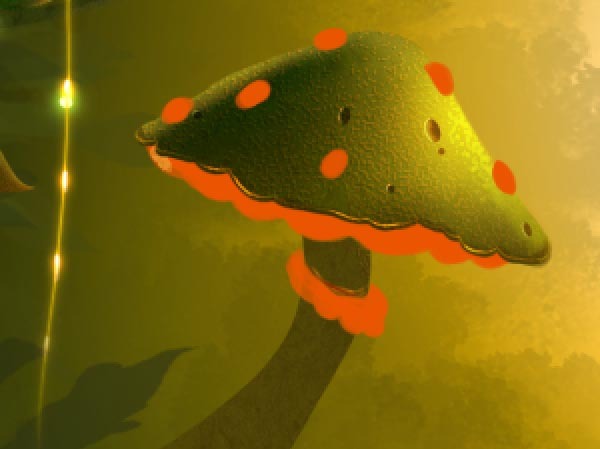 Make a new layer, place it above the “Mushroom Dark Base”, and right-click on it and choose Create Clipping Mask. 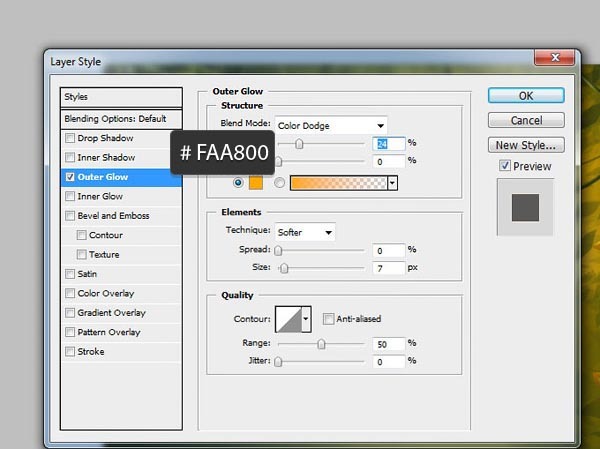 Set your foreground color to #a19014 and your background one to #2a2901. 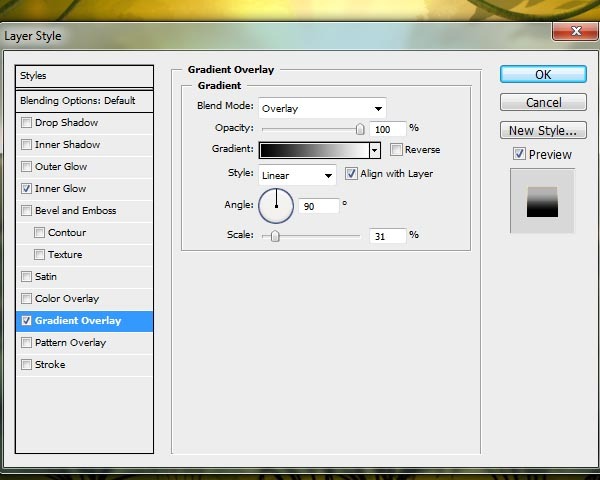 Grab the Gradient Tool (G) and set it to a radial gradient, color to transparent mode. 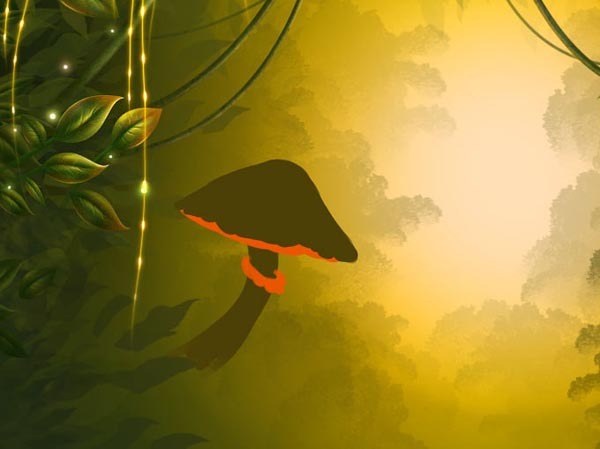 Drag gently on the right side to create a highlight, then press X to switch your foreground and background colors and repeat the gentle dragging on the opposite side, to make a shadow. 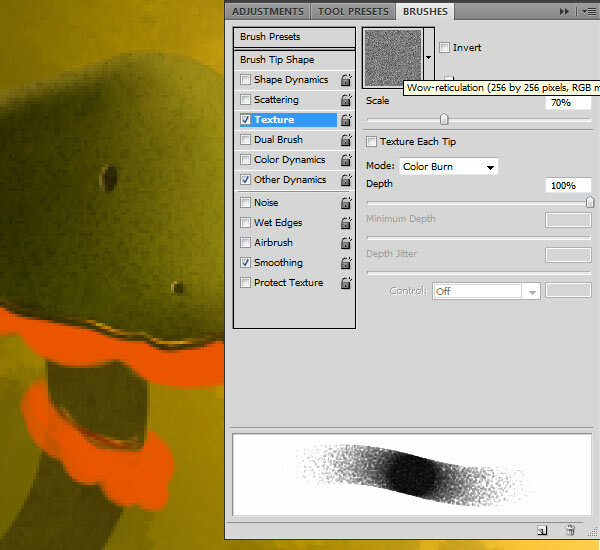 After that, take the Brush Tool (B) set to a hard, round, pressure sensitivity brush. Press X to switch swatches again, and with the lighter color brush gently on the edge of the shadowy side, to create the 3D impression. Repeat the process for the mushroom’s foot. 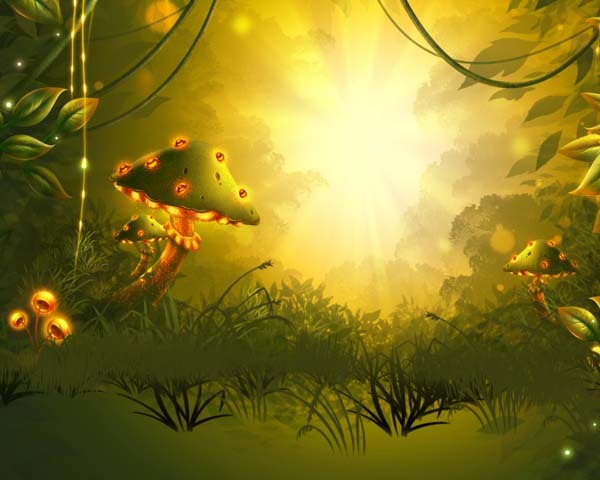 Next, create a new layer and clip-mask it to the “Mushroom Dark Base” one. 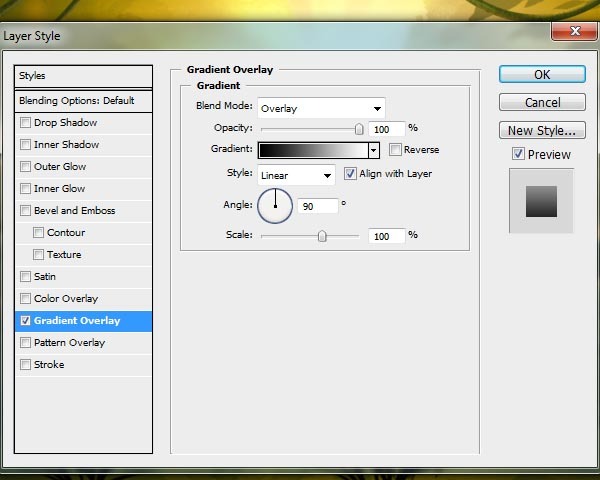 This new layer should be above the gradients layer we just made in the previous step. Using the same brush from before, pick the #2a2901 color and brush around the base of the cap. Having done that, repeat the process, only this time using #ffdeb3 as your working color and making the outline thinner and a few pixels above the edge of the cap’s bottom. Next, take the Eraser Tool (E), set it to a soft, round brush, make sure its pressure sensitivity is turned on, and adjust the size as needed to erase a few spots here and there in the bright outline we just made. Next, let’s make some holes in the mushroom! 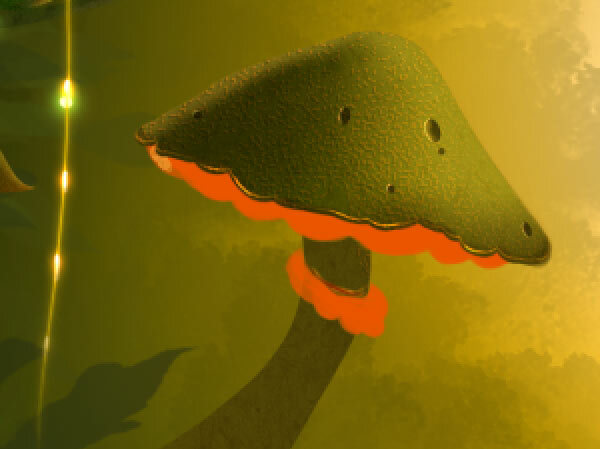 Make a new layer, clip-mask it to the “Mushroom Dark Base”, and make sure it’s above all the other clip masks it has right now. 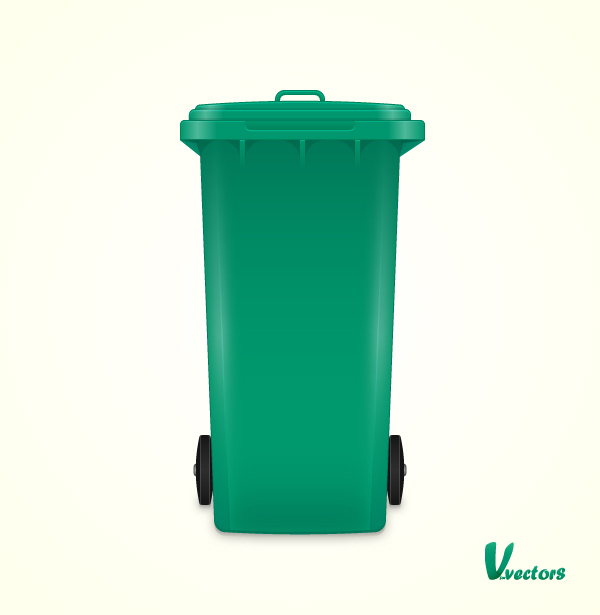 Set your foreground color to a dark green, such as #554806. Using the Brush Tool (B), paint a few dots and ovals on the cap. 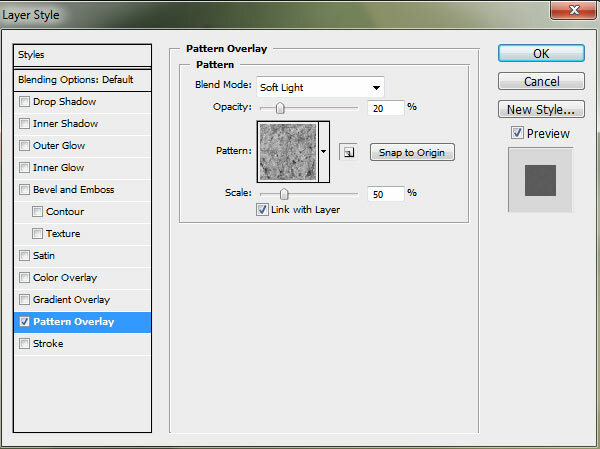 Set the layer to Multiply and lower its Fill to around 60%. 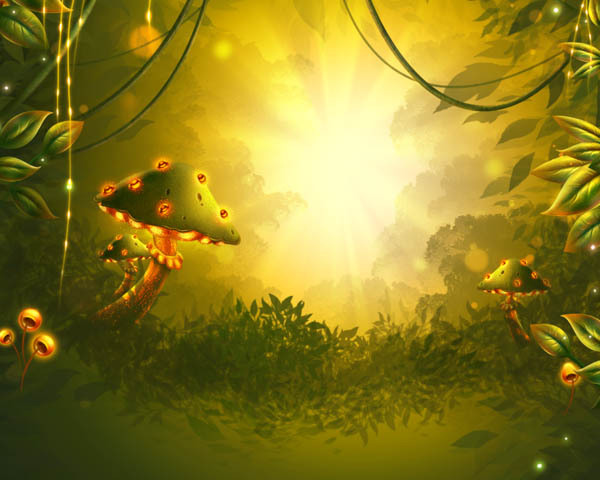 To give the holes a less flat look, create a new clipping mask layer above the dots one and set your foreground color to a lighter green such as #5e4b0d. Then brush lightly around the edges, further away from our main light source. Set this layer to Linear Dodge and lower its Fill to 60%. We'll add texture in this step, to bring our ‘shroom out of the smooth, boring realm! First let’s start with a layer style. Next, take a soft, round brush of around 60 px, and set your foreground color to #3a3801. 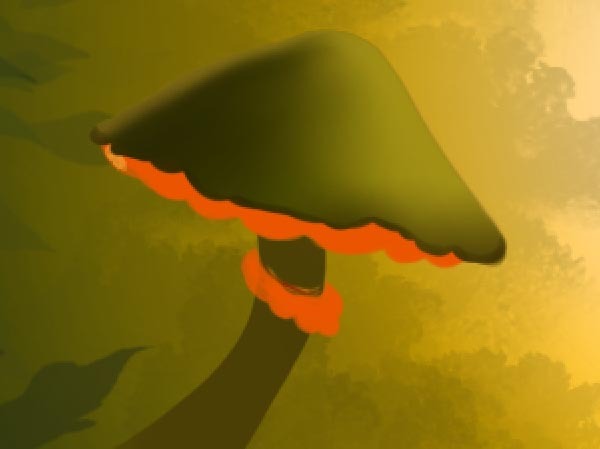 Then on a new clipping mask layer set on top of all the other clipping masks we have for “Mushroom Dark Base”, paint a few strokes to create a grainy texture as you see in the images above, to the left of the Brush Palette. Set this layer to Multiply and lower its fill to 20% to 30% depending on need and taste. You can use Filter > Sharpen on this layer if you wish, to enhance the graininess. Next, set your foreground color to #5e4b0d and create a new clipping mask layer and drag it on top of the clipping masks stack. Control-click (Command-click on Mac) on the dark grain layer’s thumbnail in the layers palette to obtain its selection, and then on the new layer we just made, use the Bucket Tool (G) to fill the selection. Set the layer to Color Dodge and lower its Fill to about 30%, and then use the arrow keys to move it 1 px to the right and 1 to the top. Now let's wrap up the cap with a few finishing touches that make a lot of difference. 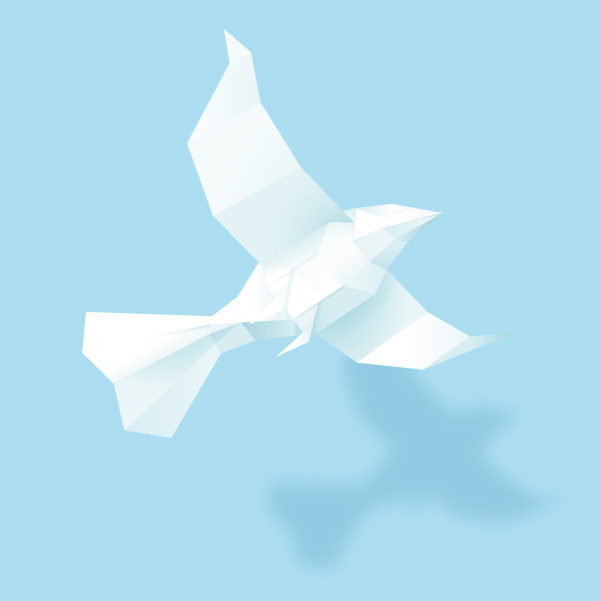 Create a new clipping mask layer and move on top of the stack. 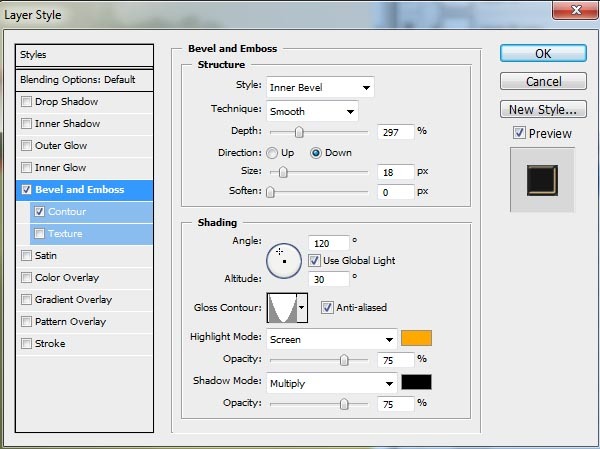 Set your foreground color to #e3b13b and using the Brush Tool (B) set to a soft, round brush, paint around the two outer edges. Paint more on the side the light source is coming from and less on the shadowy side, to create the ambient light. 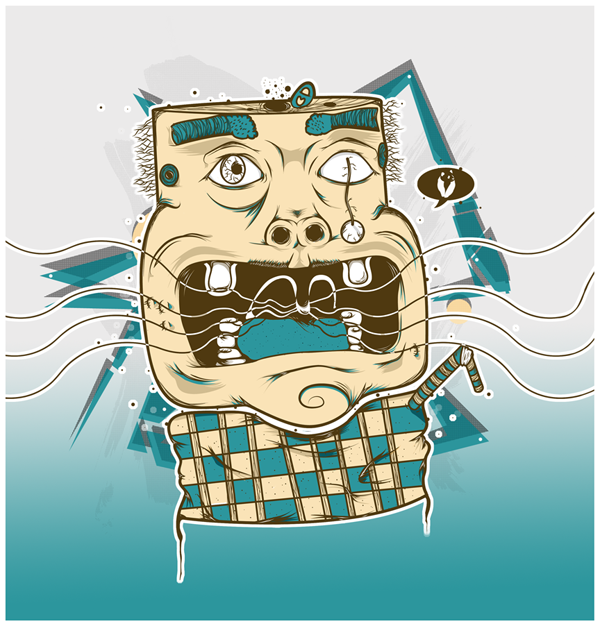 Set the layer to Color Dodge and lower the fill to your liking. Now for the final touch to the cap, let’s give it bumps. 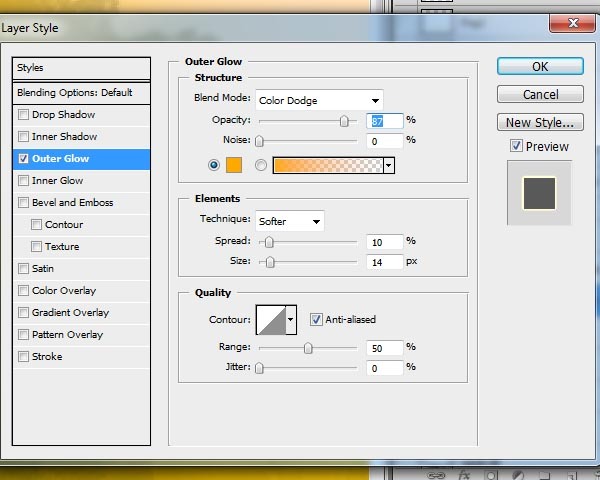 Make a new layer but do not clip mask it like the previous ones. Name it “Blobs”. 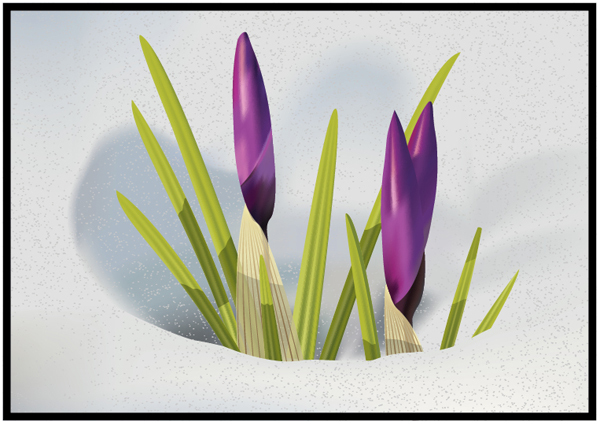 Set your foreground color to #e25501 and take a hard, round brush. Draw several blobs here and there on the cap—make sure the blobs are thick enough, or else the bead effect won’t be visible. 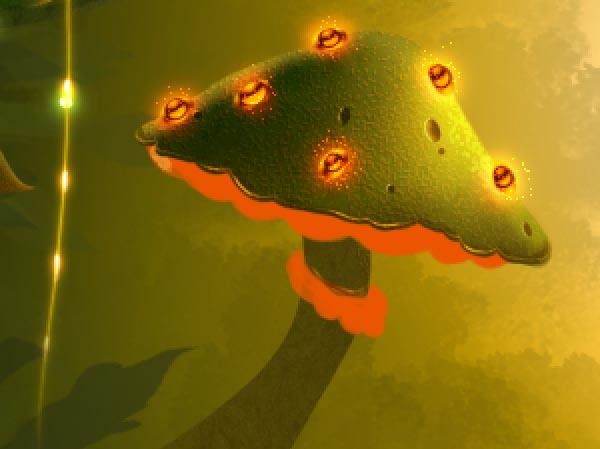 Next, add some glow and magic dust around the blobs. 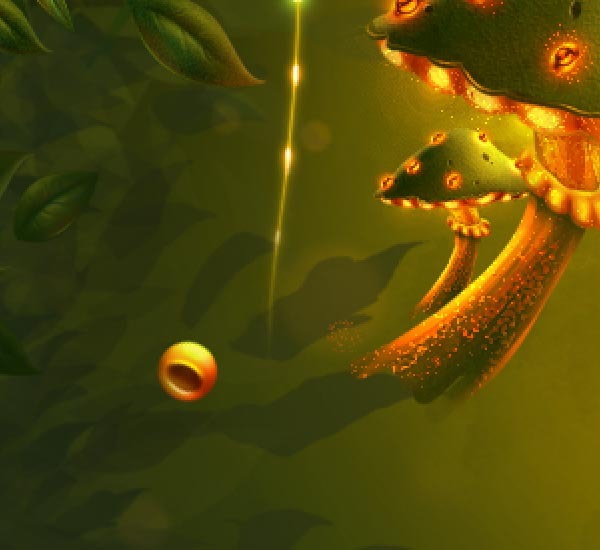 Add the glow by making a new layer and moving it under your “Blobs” layer. Paint on it using a soft, round Brush (B) to create a halo around the blobs. 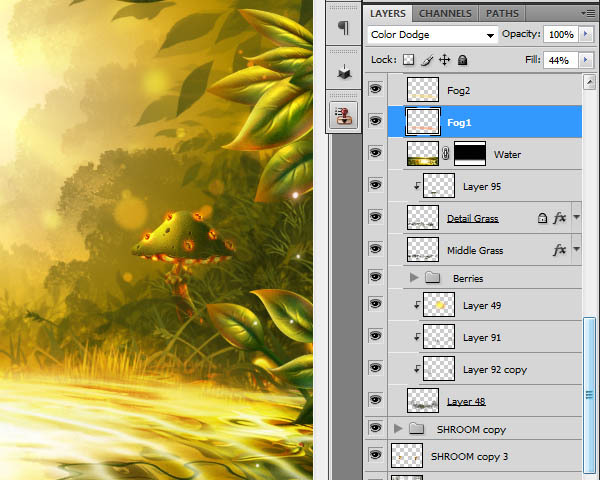 Set the layer to Color Dodge and lower its Fill to around 55%. The ‘shroom cap is ready! Congratulations! Time to shade the undercap and frills now! 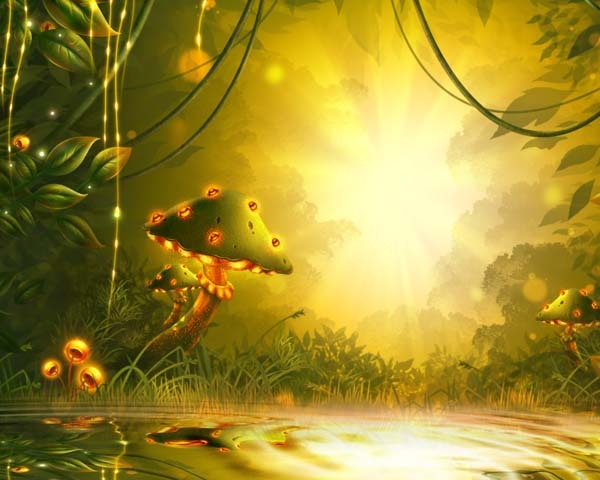 We’ll be coming back to the foot of the ‘shroom in a bit, don’t worry. 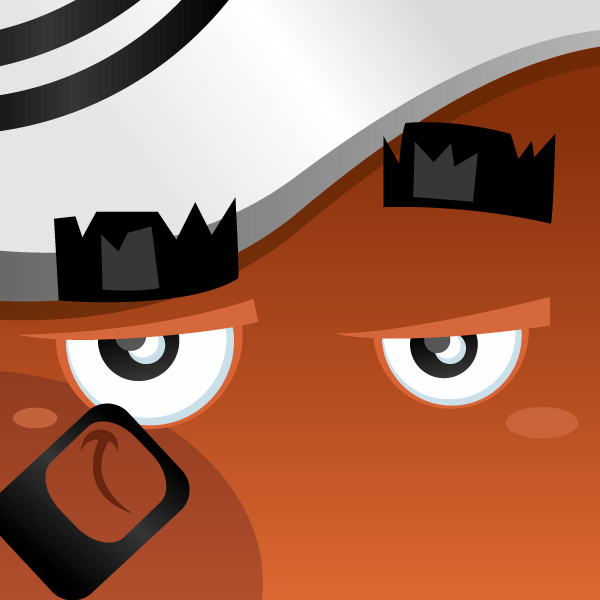 We’ll be working with two main colors: #f1a033 as foreground and #852900 as background. 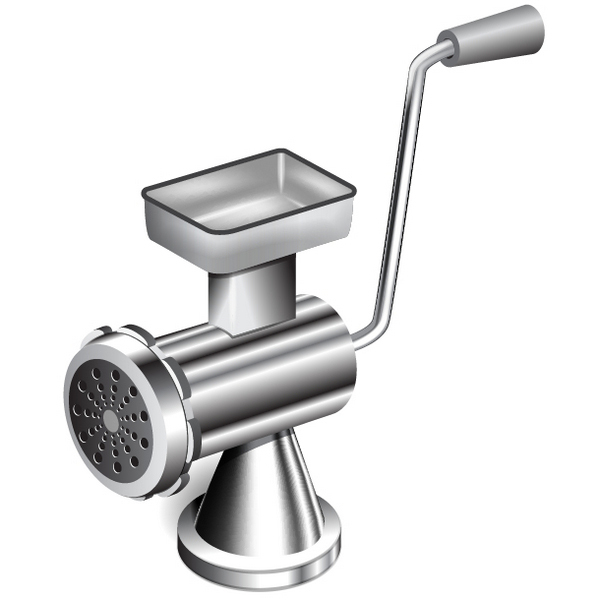 Also, we will use a hard, round brush with Pressure Sensitivity turned on. 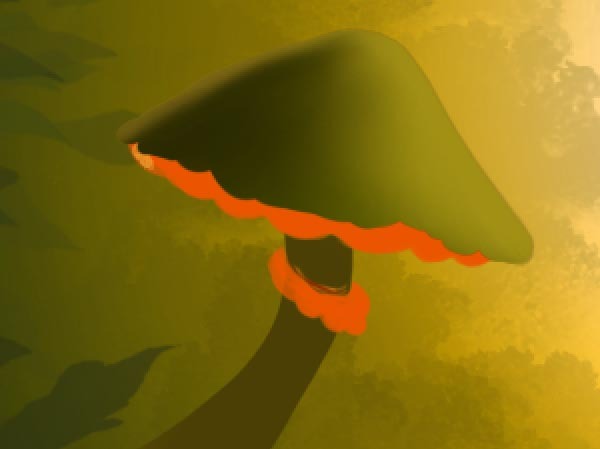 Go to your “Mushroom Light Base” layer, and make a new layer on top of it. 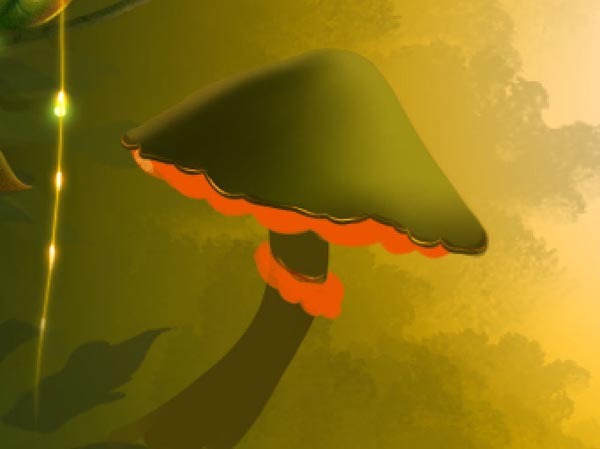 Clip-mask the new layer to the “Mushroom Light Base” one by right-clicking on it and choosing Create Clipping Mask. 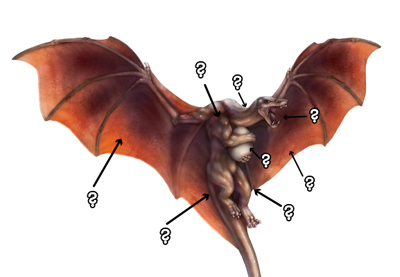 Brush around to obtain a result similar to the one you can see to the left of the Brushes panel in the pictures above. 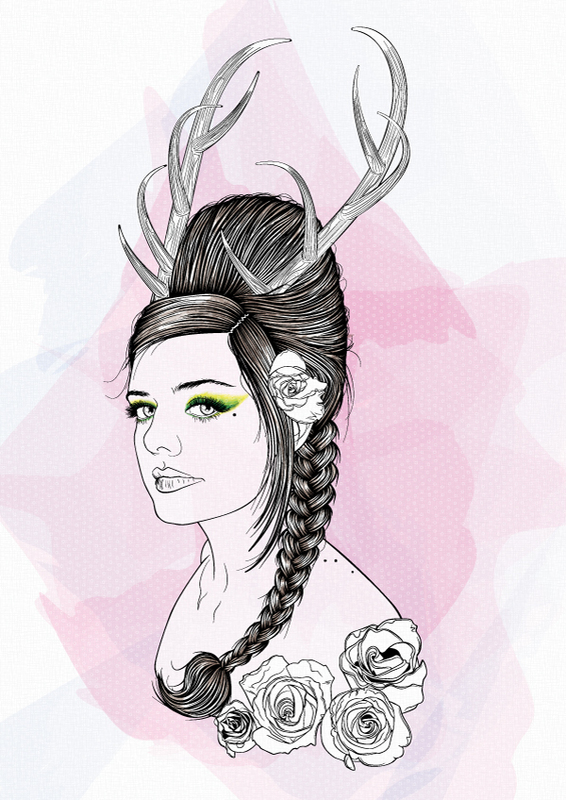 Next, create a new clipping mask layer and set it to Color Dodge with Fill lowered to 40%. 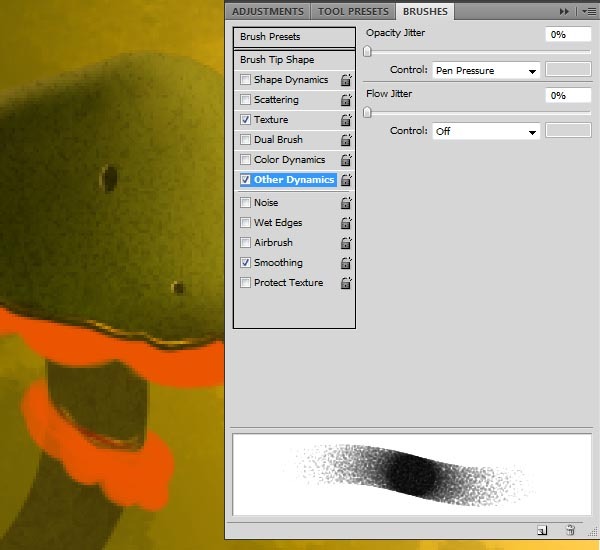 Grab the Brush Tool (B) again, set it to a soft, round brush and Dissolve mode, and brush around as before, to create a magic dust texture. 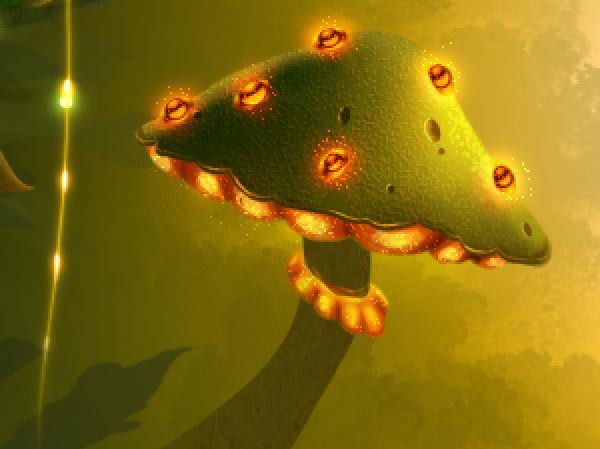 The mushroom is finished! Now you can make more using the same technique—feel free to try other shapes and experiment with color combinations! Or you can simply duplicate this and move it around. Create a new layer on top of all the others. 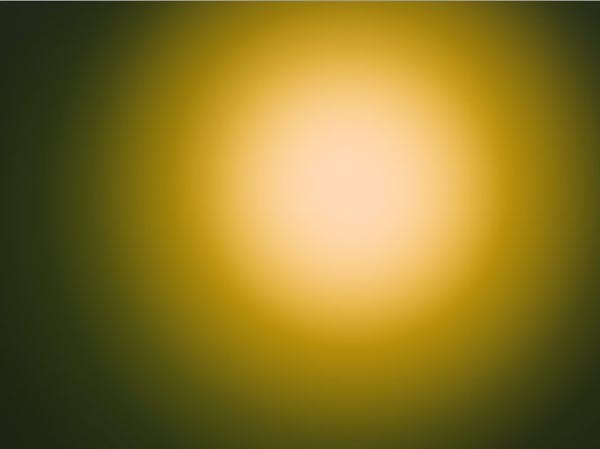 Name it “Burst”, set it to Color Dodge and lower its Fill to around 30%. Take the Brush Tool (B) and set it to the Burst brush. Adjust the size as needed. 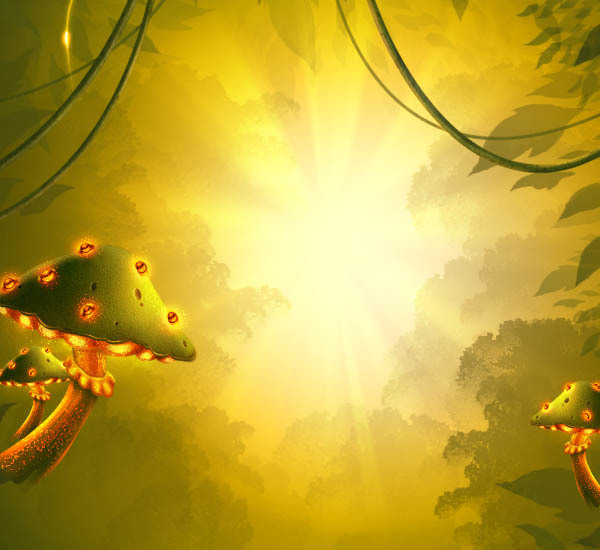 Set the foreground color to #ffd066 and using the Burst brush, paint a single lightburst in the center of our light source area, to obtain the effect of sun rays. Once that is done, make a new layer once again, name it “Bokeh”, and move it on top of any other layers you have. Set it to Color Dodge mode and lower Fill to 50%. The whole thing is too green right now, and we need a splash of color. Let’s do that by adding more plants to it—this time some berries of sorts! Then set your foreground color to #532000 and your background one to #fbf857. Using the darker color, paint a hole in the berry, and then paint highlights with the brighter yellow. Finally, on a new layer placed above the berry one, add a thin, curved stem to the said berry so that it’s not just hanging there in mid-air. Paint more berries here and there, or simply duplicate the one just made. Create a new layer, and move it right under your “Berries” one. 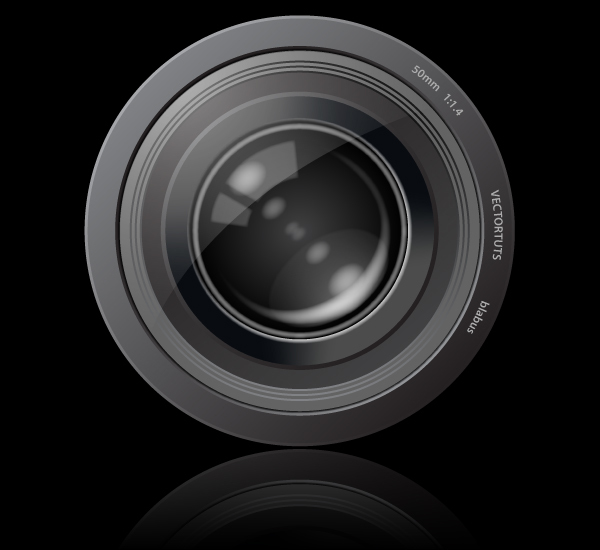 Set your foreground color to #333408 and your background one to #414e09. 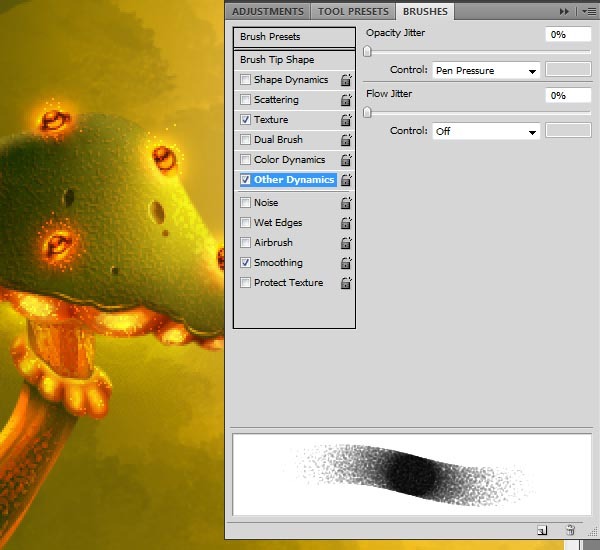 Grab the Brush Tool (B), set it to the “Background Moss 1” shape, and brush lightly around the bottom third of the canvas with the darker green color. Then switch your colors by pressing X and brush a few details with the lighter green. Feel free to vary the size of your brush in the process. 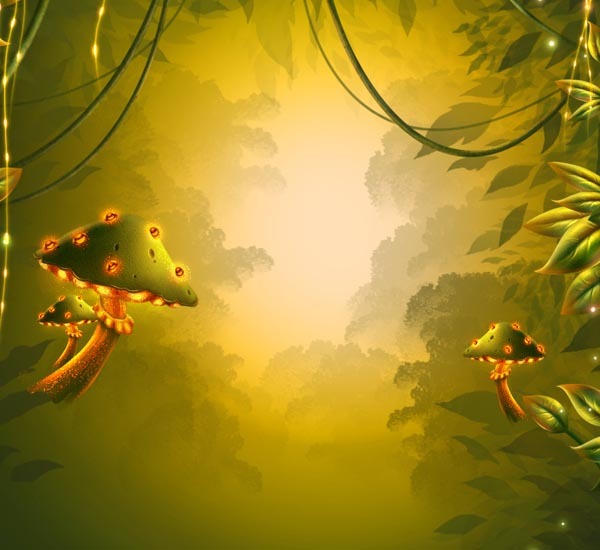 Create a new clipping mask layer for the “Background Moss” one by making a new layer above “Background Moss” and then right-clicking it and choosing Create Clipping Mask. 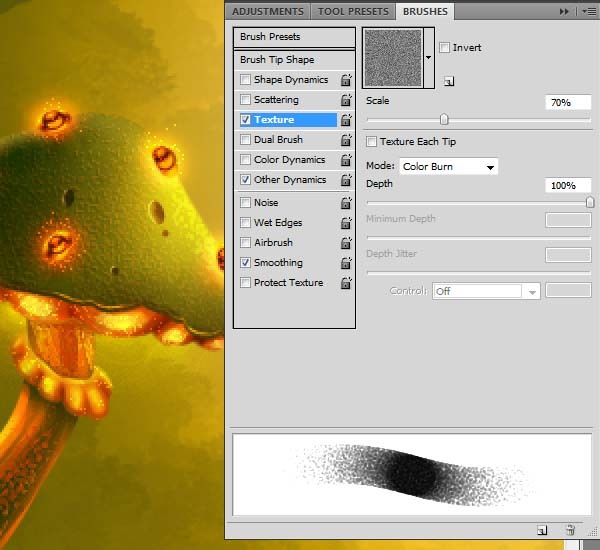 Take a dark green (#202607) and the Brush Tool (B) set to the “Background Moss 2” shape, and brush some dark moss around. Next, set your foreground color to #353a0b and create a new layer above your Berries. Time for a watery end! Bet you have been waiting for this, right? Alright. Now we could paint this by hand, but that would mean several hours spent and a not so sharp effect. 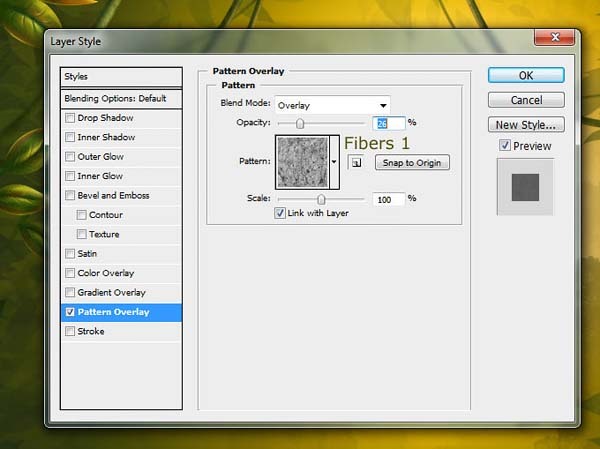 So create a new layer on top of every other layer that you have in your Layers Palette. Go to Image > Apply Image. It will create a flattened version of your canvas. Name this layer “Water”. Go to Edit > Transform > Flip Vertical. Now, make sure you saved your work. Close your Photoshop and go to the Redfield Plugins website. Look for and download the “RedfieldPlugins.exe 9 filters package”. Install this, and restart Photoshop. You should have a new plugin in your Filters, named “Redfield”. Here we are. At the end of a pretty long and might I say epic journey! Of course, there is much, so much more that can be added to the picture still, and you are free to be as creative as you wish—give it animals, give it fairies, give it insects, give it a sleeping cat with thick glasses on… whatever you dream of. This is just a base for you to build on further. 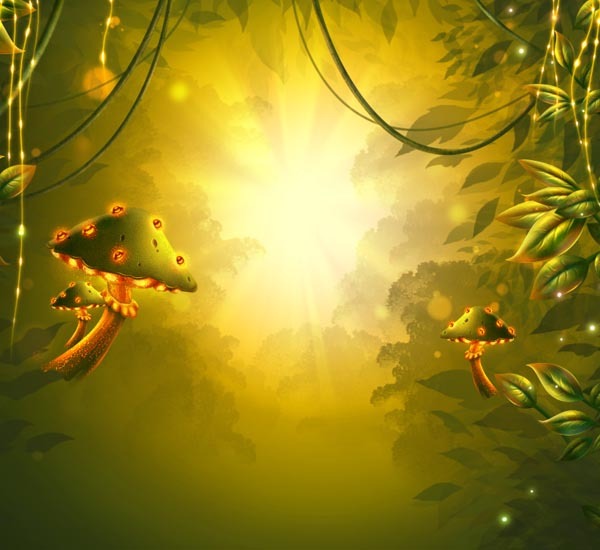 I sincerely hope you enjoyed the journey, and if you try this out and wish to share your result and/or hit bumps along the way, feel free to drop a comment below about it.